"We wanted the people who attended to have a good time and meet new friends," says Humane Society of Central Oregon Community Outreach Manager Lynne Ouchida. "All of the attendees were like-minded in their shared passion for animals because they have all been touched by them. You can't put into words the human-animal bond." 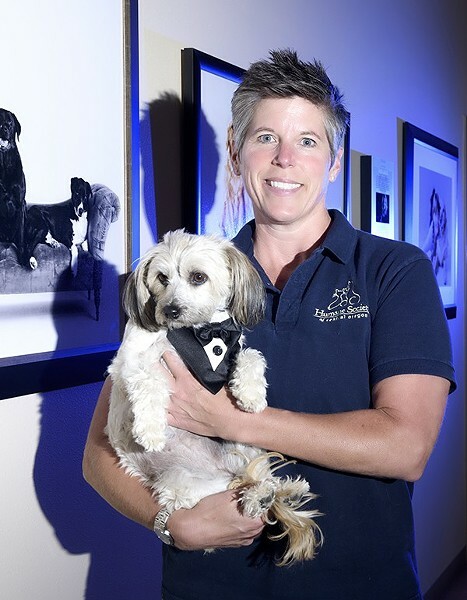 In June, the Humane Society hosted its annual fundraiser, Tuxes and Tails for the 10th year. It changed up this year's event, adding fun elements to engage people while at an event specifically geared toward raising money for animals. "With people being so into social media, we wanted them to feel engaged and wanted them to feel like they could share their experience," Ouchida says. The "Hooray for Hollywoof" theme lent itself perfectly to social engagement. With a fun photo booth with customized, animal themed accessories, it was a huge hit. The Humane Society even brought in a Rolls-Royce for photos, lending that the extra Hollywood-style feel. Held at the Riverhouse Convention Center, this year's event also featured a walk on the red carpet and music by The High Street Band.